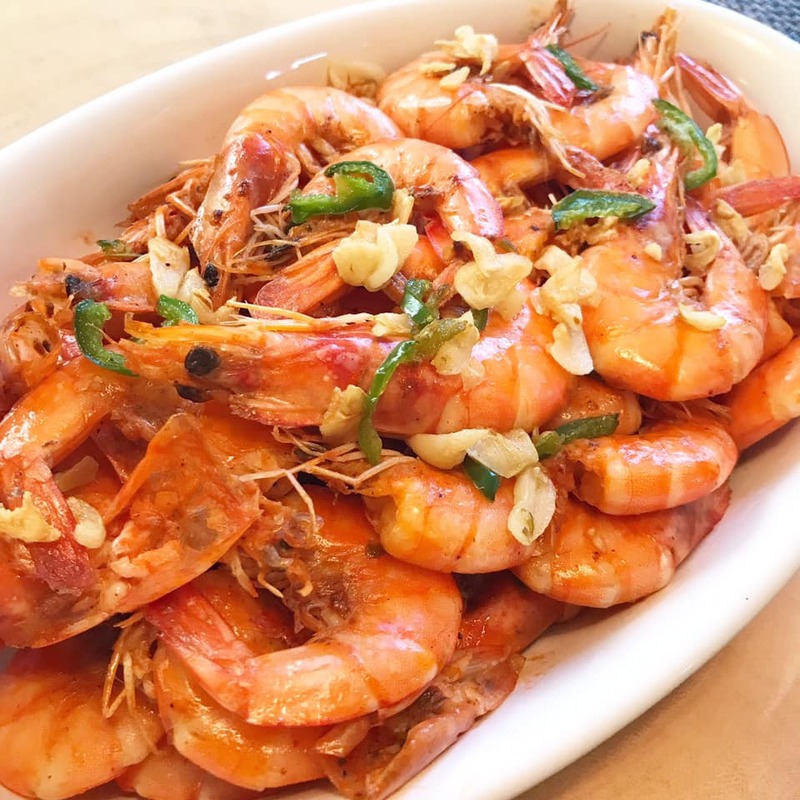 This Spicy Garlic Shrimp recipe is so simple and easy to make under 20 minutes. 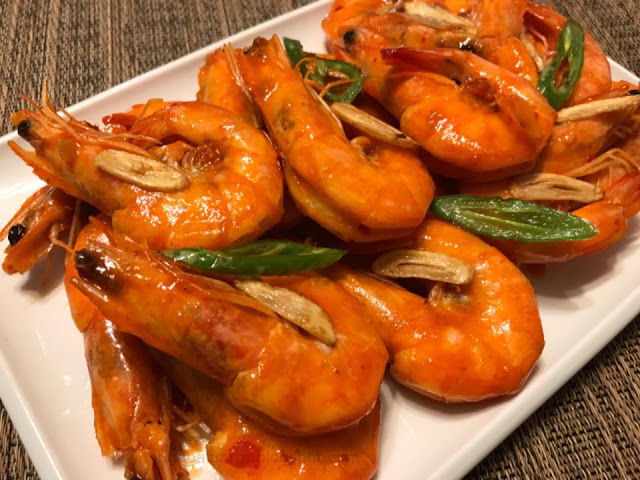 A fast skillet spicy garlic shrimp recipe that is delicious and flavorful. 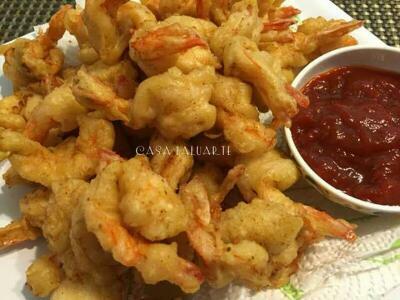 Spicy Garlic Shrimp is one of our favorite easy to prepare meal. It is loaded with garlic and fresh chili pepper tossed in butter. 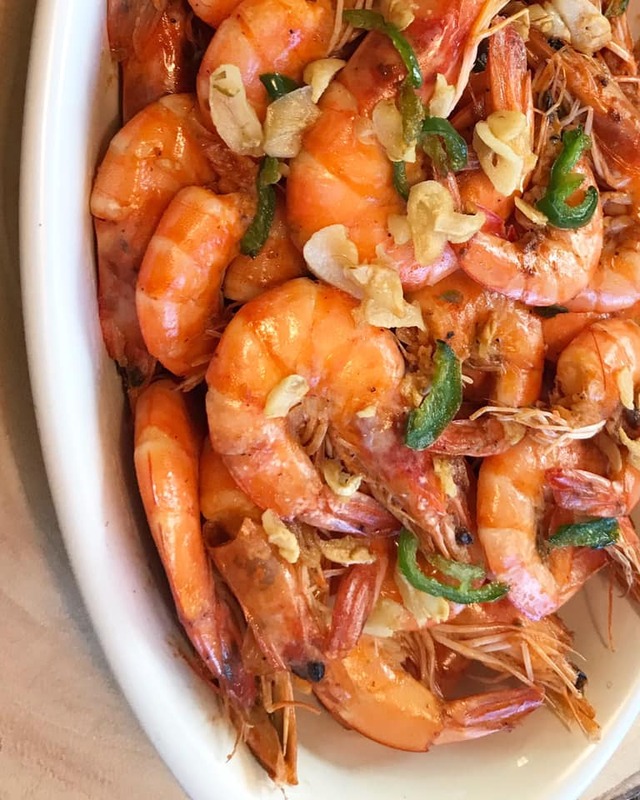 This Spicy Garlic Shrimp recipe is so good and nothing fancy. Give it a try and share. Let me know how you like it. Don't forget to check related recipes below. Click on the name link below the picture to see complete recipes. Using a wide skillet, heat in medium heat and add butter to melt. Add garlic to the skillet and stir. Cook for 2 minutes or until golden brown while stirring continuously to avoid the garlic from burning. Remove a tablespoon of fried garlic and set aside. Add minced ginger to the skillet and stir for a minute. Add chili peppers to the skillet and toss. Cook for few minutes or until it turns golden brown. Now add the shrimp to the skillet. Toss and stir. 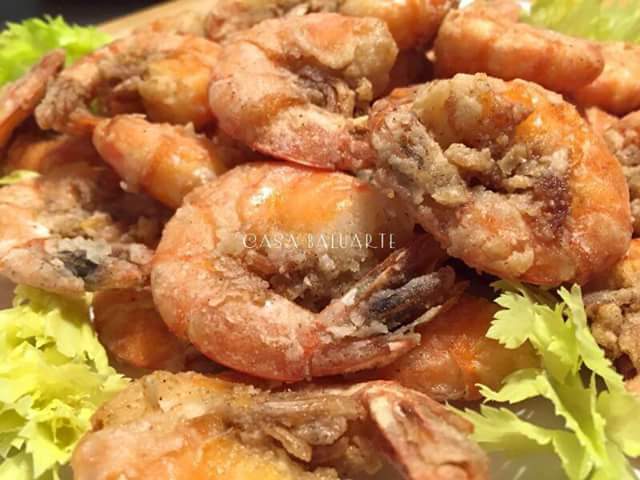 Continue cooking for about 5 minutes or until shrimps is fully cooked and color turns to orange. Add salt and ground pepper and toss for a minute. 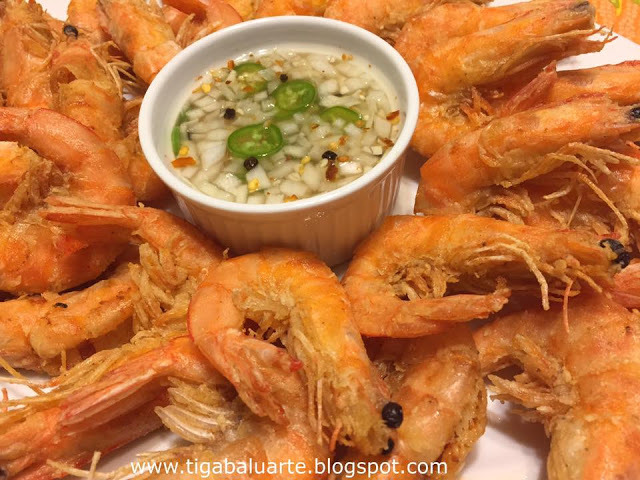 Transfer in a serving dish and garnish with fried garlic. Enjoy!